Why do people love slots casino games so much? 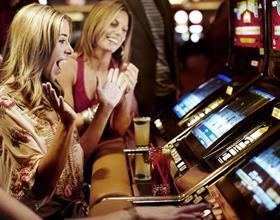 Did you know that approximately 70% of casino revenue comes from slot machines? When I first learned that statistic, I was shocked. Because the second I enter a land-based casino, I bypass all the slots and race to the casino floor, hoping to nab a spot at the Roulette table. 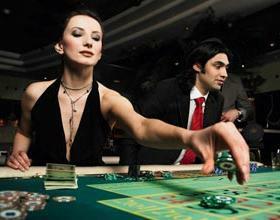 To me, table games are more fun and I had assumed that everyone felt the same way. But that’s not the case. People love slots casino games more than anything else. If you’re wondering why, we’ve looked into it, asking our customers and surveying players at land-based casinos. Here are the top reasons. There are penny slots in Vegas and around the world. And even though they’re few and far between, you can still find nickel slots at most casinos. That means, assuming you play just one payline, you can technically get 20 spins in for $1. Contrast that with the tables where $10 minimums are hard to come by and $25 minimums are the norm. To play one hand, you have to shell out a lot of money. That’s not the case with slots. Even in the online casino world, the same is true. Sure, you can bet $1 per hand at some table games, but you can’t bet less than that. You can, however, play for a penny a spin at many online slots. When you play slot machines, you’re playing by yourself against the house. But you’re also playing alongside players all over the world who are doing the same. We’re not even talking about online casinos. Head to a casino in Vegas and find a progressive jackpot slots game. As you feed the machine, you’re also feeding the jackpot. And so are players from all corners of the globe. Because these slots games are linked on the same network, you could be playing for a few cents a spin with the potential of hitting a million-dollar jackpot. Contrast that with table games where there are very few surprises, aside from hitting a side bet. Love The Walking Dead? Huge fan of Wheel of Fortune? At many land-based casinos, you can find slots games themed after your favorite TV shows. So if you’ve ever dreamed of zombie hunting alongside Rick and Daryl, you can do so and win along the way, without worrying about being eaten alive. If you’re a huge slots fan, let us know what your favorite reason is for pushing the Spin button (or pulling the handle if you’re going old-school). Sound off in a comment or tweet us with your thoughts. And don’t forget, if you’ve never played slots before, give Palace of Chance a try. You can test out free games for as long as you like. If that’s not a good enough reason to love playing slots games, we don’t know what is.